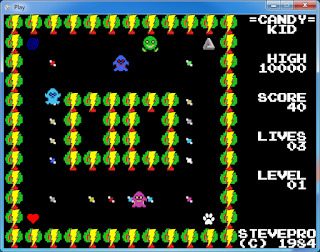 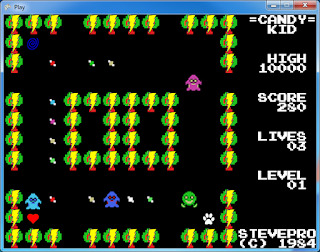 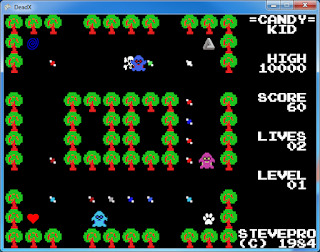 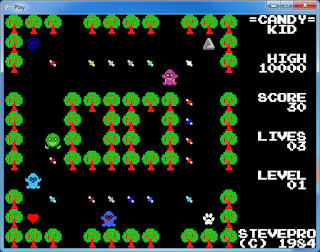 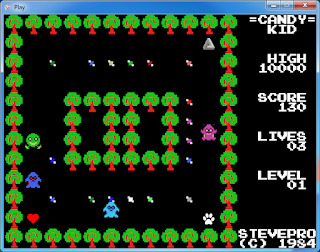 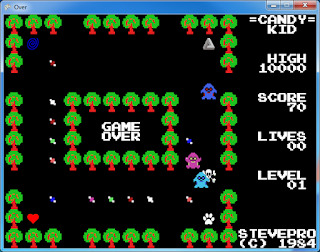 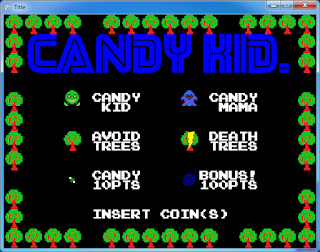 Candy Kid is a simple maze chase video game originally programmed by Grandstand Leisure from New Zealand in September 1984. 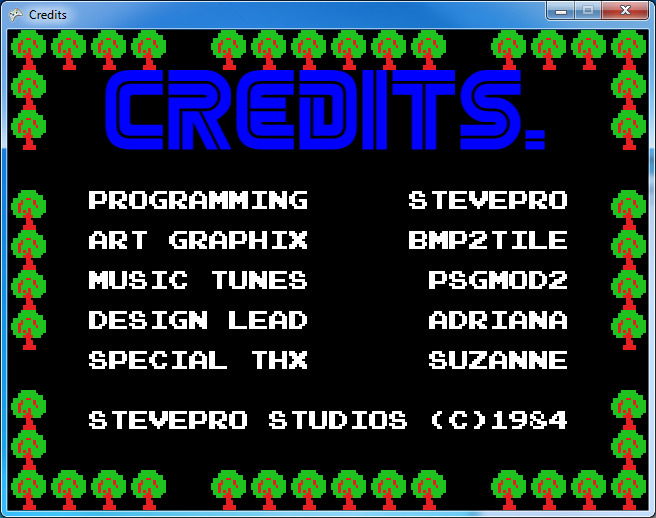 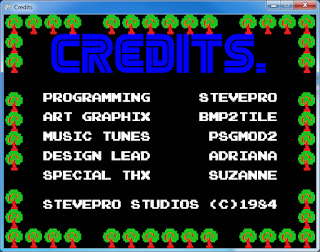 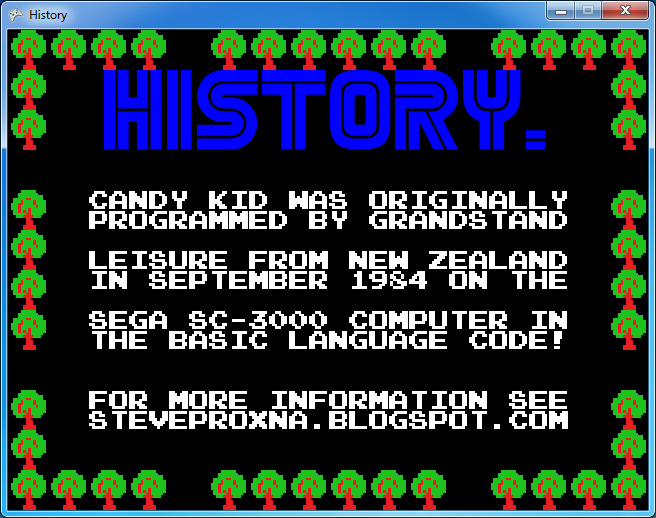 The game was written in BASIC programming language on Sega SC-3000. 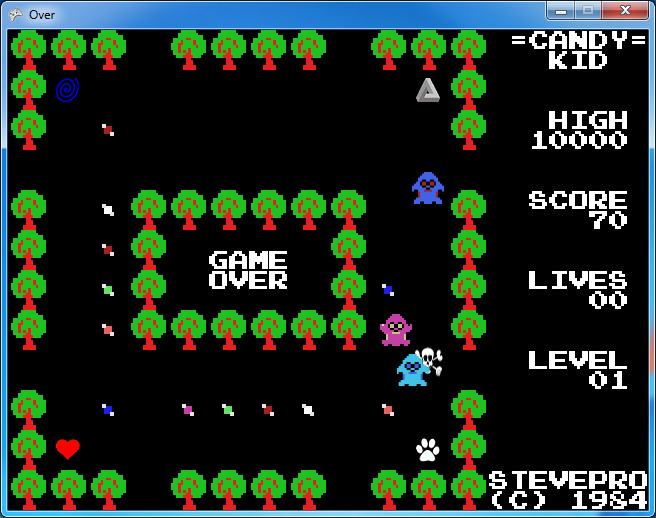 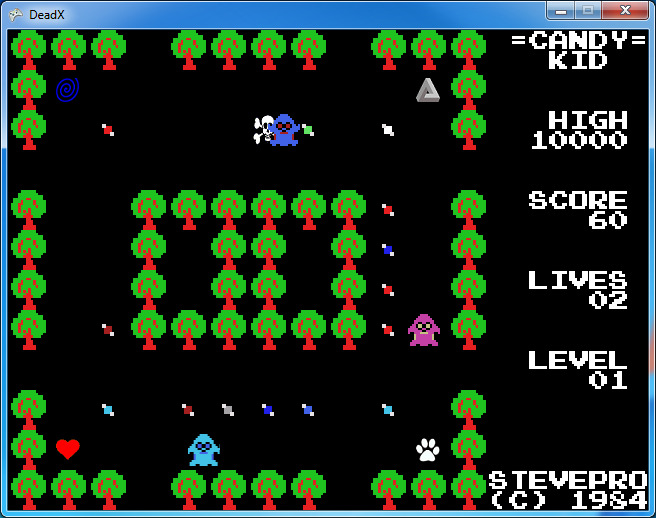 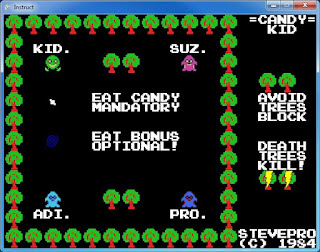 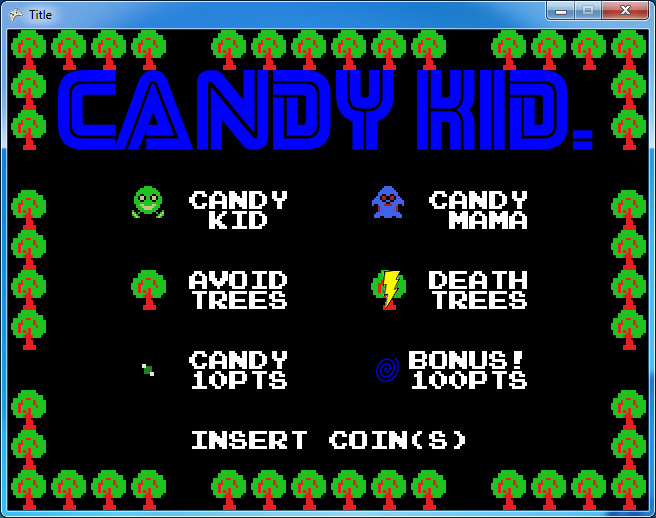 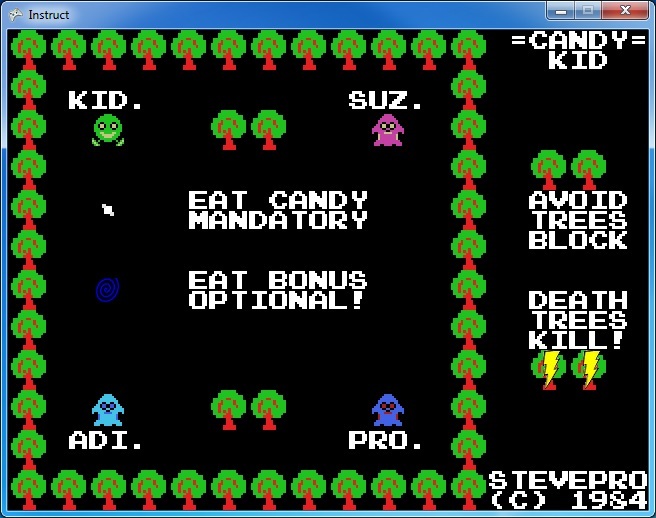 Inspired from previous posts on Sega Retro Gaming and Sega BASIC programming, Candy Kid was re-written in XNA. 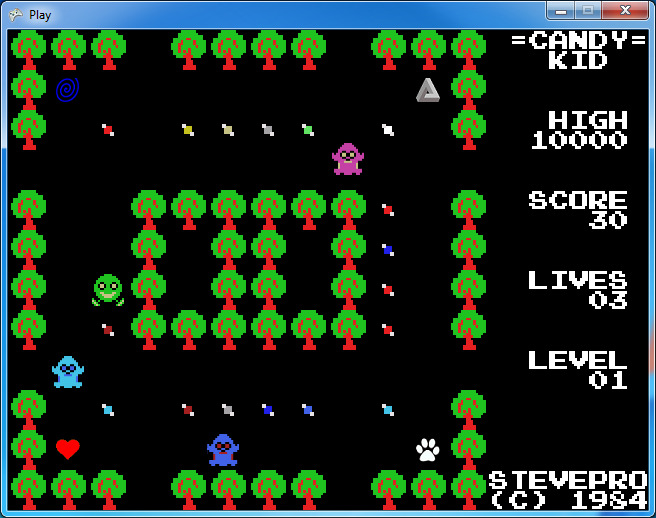 However, the goal is to keep the super cool 80s retro arcade video game look and feel! 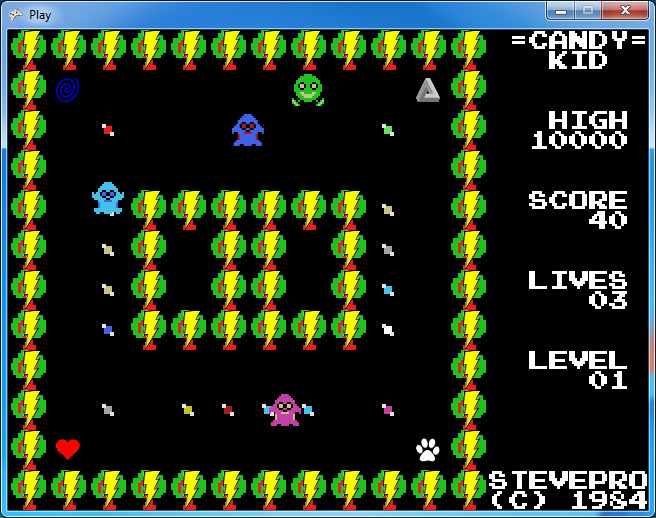 100 levels initially (if I can design) to 250?? 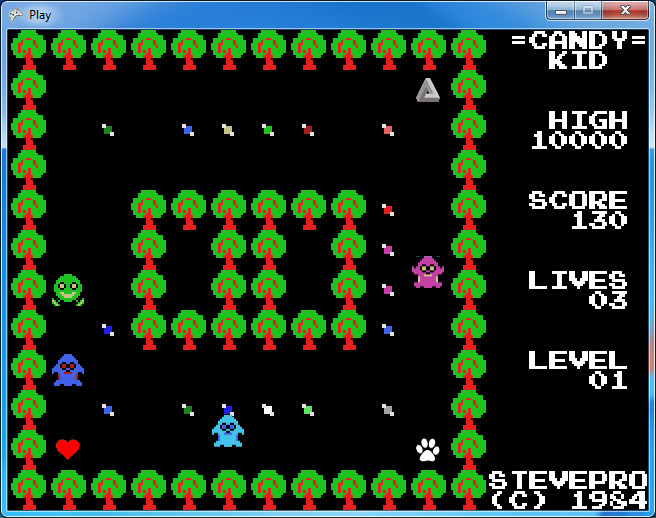 Next step is to port game to mobile devices available for iOS App Store and Android Google Play store. 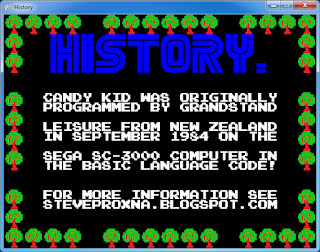 Ultimate goal would be to re-write Candy Kid in C / Z80 assembler to target the Sega Master System!